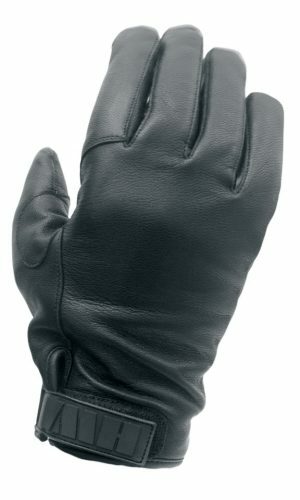 The HWI Winter Cut Resistant Duty Glove offers exceptional flexibility, feel and protection for a winter glove. The contour design and high quality materials give a comfortable form fit, adding dexterity and feel for better weapon control. The Spectra® liner adds cut resistance and the brushed polyester liner adds insulation. The aniline goatskin has been treated for water resistance to keep hands dry. WORN BY THE NYPD.